Brushless blower from these series have 183mm diameter and are the most powerful in our product range. They are reaching power up to 1.8 kW and there are two options with 63.5mm (2.5 inch) and 50mm (2 inch outlet) available. 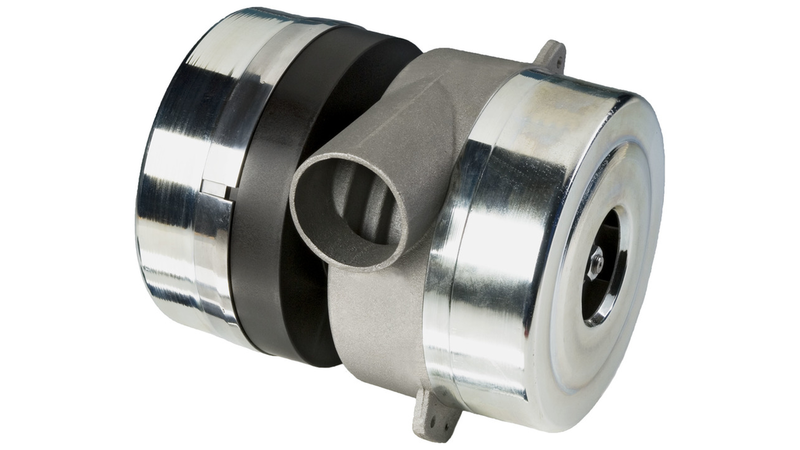 These blowers are designed for applications where relatively high pressure and high flow are needed. These blowers are available up to 1800W. We also have solutions with special sealing which protects bearing avalible. Such solutions are intended for use of blowers in pressure aplications. Special sealing solution is available up on request. VAC). Additional features of these blowers are also 3-phase commutation, precise regulation and high efficiency.